Baptism is the first sacrament of welcoming or initiation into our Church. It occurs by the power of the Holy Spirit and through the pouring on or immersing in water as the priest or deacon proclaims, "I baptize you in the name of the Father and of the Son and of the Holy Spirit." Through this action, the person is cleansed from all sin including original sin, reborn as a child of God, and welcomed into the Body of Christ, our Church. In baptism, we receive the Holy Spirit and also become co-workers with Christ in his ministry on earth as priest, prophet and king. Confirmation is the sacrament of initiation that calls forth the fullness of the Holy Spirit to strengthen our relationship with Christ and the Church. The bishop through the "laying on of hands" and "anointing with holy oil" evokes the Holy Spirit to dwell within us and grant seven gifts: wonder and awe, reverence, understanding, right judgment, knowledge, courage and wisdom. These essential actions of the bishop confer the sacrament that helps us to live holy lives in service to each other and our Church. Reconciliation is a sacrament of spiritual healing and conversion in which we strive to be in a healthy relationship with God, others and ourselves. 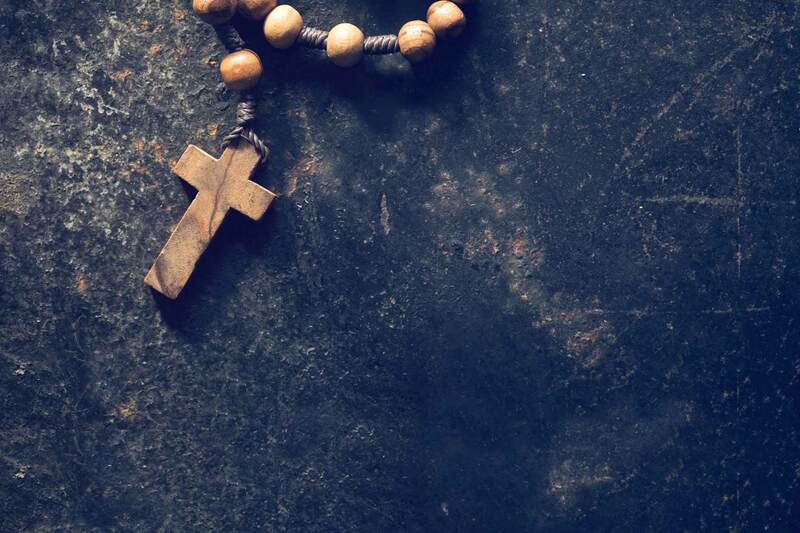 As a community of believers, we understand that we need to express our sorrow (contrition), name our sinfulness (confession), and make reparation (penance) for our actions. By the power of the Holy Spirit and the priest's words of absolution our sins are forgiven. We can then live in a healthy relationship with God and each other and look forward to joining the communion of saints when our earthly life ends. Anointing of the Sick is a sacrament of physical, emotional and spiritual healing for those who are suffering from severe illnesses or are near death. By the power of the Holy Spirit and through anointing with holy oil and prayers of the priest, we are united with the suffering of Christ and offered the opportunity for healing if it is God's will. 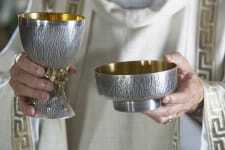 The sacrament is celebrated in combination with Eucharist and Penance/Reconciliation, if possible. Together, the sacraments strengthens us, gives us courage, and offers us peace as we face life's difficult health issues and old age. Holy Orders is a sacrament of vocation where men commit their lives to participation in Christ's priesthood in a unique way. Through Holy Orders, sacred powers to serve God's people are given. The three degrees or orders are bishops (shepherds, sanctifiers, teachers), priests (coworkers of bishops in the pastoral ministry in parishes), and deacons (not ordained to ministerial service but dedicated to service and charitable activities). All are important for the Church. The sacrament for the three orders is conferred as a bishop lays hands on the person and prays a prayer of consecration for the specific order of the person.